Genesis 1:20-23 Then God said, "Let the waters swarm with fish and other life. Let the skies be filled with birds of every kind." So God created great sea creatures and every living thing that scurries and swarms in the water, and every sort of bird-each producing offspring of the same kind. And God saw that it was good. Then God blessed them, saying, "Be fruitful and multiply. Let the fish fill the seas, and let the birds multiply of the earth." And evening passed and morning came, marking the fifth day. We put up our Day 5 clothespin picture, if you want to see the details on how I made it, go to Day 1. Now the fun part...making bird feeders! We went to the grocery store to find fruit and vegetables that we could clean out to fill with bird seed. We bought a green pepper, orange, apple, pear, and a cantaloupe. The green pepper and cantaloupe with twine tied to it. The pear, orange, and apple with twine. We filled each fruit with spoonfuls of bird seed. Glad we did this outside, definitely messy. We hung all of them on our front tree by our living room window. Birds and Fish. Birds and Fish. That was on the fifth day. That was on the fifth day. This is such a wonderful idea! I love your series! Thank you! It's been fun! This is such a great idea! 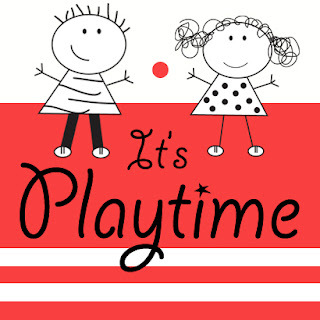 I'd love it if you'd link up at my Teaching Time for Toddlers party. It's open all week! Feel free to link anything else that is relevant that you'd like to share! I love this idea!!! 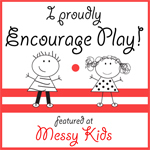 These are great projects to do with kids. Thanks for sharing with Saturday Show and Tell. I hope you'll share with us this week. Thanks, Kelley. Just linked it. Thanks and I just featured it on my facebook page, feel free to grab a feature button from the blog if you wish! Hi There, Just sort of discovering your blog although I think I have stumbled across it before. I LOVE these bird feeders. We may have to try this! They look fantastic. Would love to have you follow along with us too :) Looking forward to exploring your blog further. Thanks! I have seen your blog as well...love it! I am a Christian mom. Everyday I strive to raise my kids to be like Jesus.